Ajith Kumar was born on 1st May 1971 Secunderabad to P. Subramaniam and Mohini in a Tamil Brahmin family. He has an elder brother named Anoop Kumar, a stockbroker and younger brother named Anil Kumar, an engineer. He went to Asan Memorial Senior Secondary School and dropped out of school to pursue his career in car racing. He is professional race driver and took part in 2004 British Formula as a Formula Two racing driver. 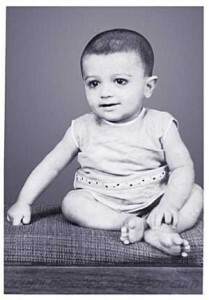 He was ranked as the third best race driver in India. 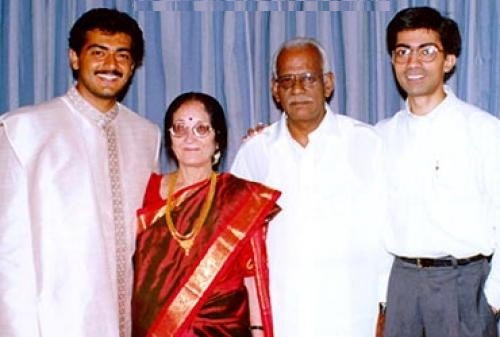 Ajith Kumar took part in 2003 Formula Asia BMW Championships and 2010 Formula 2 Championship. After injuring himself in an accident he started to put more attention to his modeling and film career. 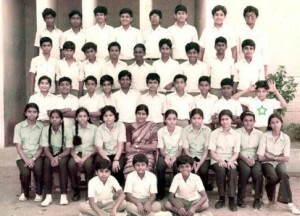 His acting debut was with En Veedu En Kanavar in 1990 in a small uncreditted role. 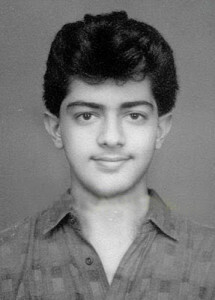 His debut in a lead role was with Tamil film Amaravathi in 1993 opposite Sanghavi and Nassar. Ajith Kumar was again severely injured his back in racing and had to undergo three surgeries, he was bed ridden for three years. 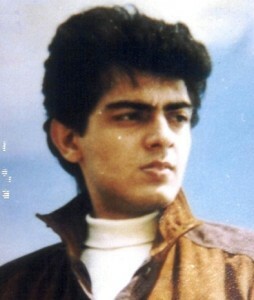 His first blockbuster hit was Aasai in 1995 opposite Suvalakshmi, Rohini and Prakash Raj. He was born to P. Subramaniam and Mohini. He has brothers named Anoop Kumar and Anil Kumar. 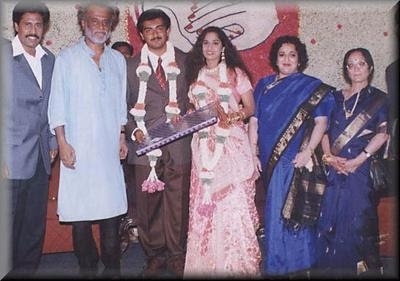 Ajith Kumar started dating his co-star Shalini during the filming of Amarkalam in 1999. The couple got married in 2000 according to the customs of both Hindu and Christian religions. The couple gave birth to a daughter named Anoushka on 3rd Jan 2008. 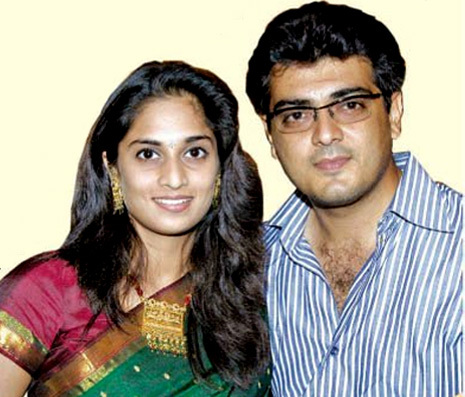 Shalini was born on 20th Nov 1980 in Thiruvalla to Babu and Alice. Her favorite sports is badminton, she played some state level tournaments during her college days. She started her acting career as a child artist when she was just three years old with Malayalam movie Ente Mamattikkuttiyammakku in 1983. Shalini has an elder brother named Richard Rishi born on 20th Oct 20 1977 in Kerala. 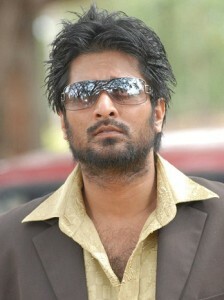 Richard Rishi entered films with Jagadeka Veerudu Athiloka Sundari in 1990 as a child artist. He made his acting debut in a lead role with Kadhal Virus in 2002 alongside Abbas, Sridevi Vijayakumar, Manorama and Raghuvaran. 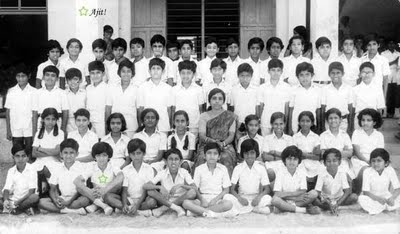 Shamili has an younger sister named Shamili born on 10th July 1987 in Chennai. She has a bachelors’ degree in ‘Visual Communication’ from Women’s Christian College. 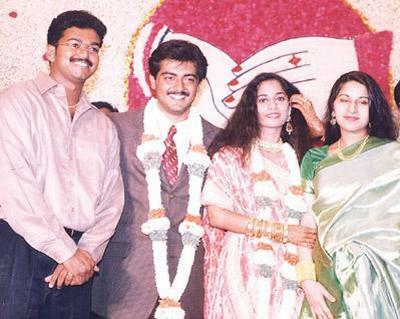 She won National Film Award for Best Child Artist for her role in Mani Ratnam‘s Tamil film Anjali in 1990.